A #1, #2, #3, and #5 seed. Pretty much chalk. 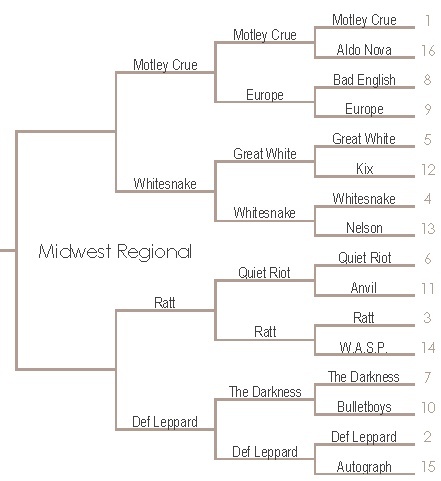 Who do you like to move on to the Final Four? All chalk in the South. We did too good of a job of seeding this sucker. Finally some upsets! 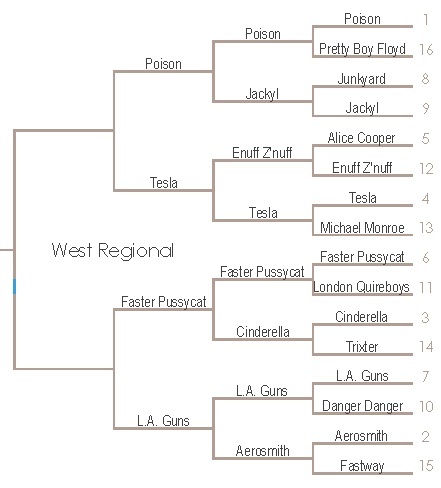 Faster Pussycat upset Cinderella and in the upset of the Culture Brats Hair Madness Tournament, L.A. 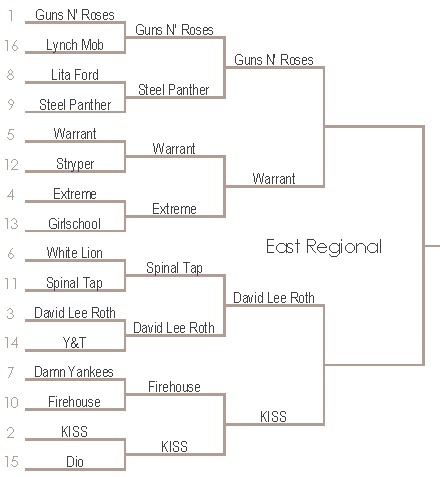 Guns bested Aerosmith! There you have it, folks! The Culture Brats Hair Madness Sweet 16!